Monday: Erica Vetsch delved into the dicey topic of Managing Your Expectations. The winner of a copy of her latest Love Inspired Historical, A Child’s Christmas Wish is KC Frantzen! Way to go, KC!! 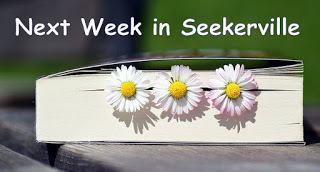 Wednesday: Melanie Dickerson inspired us with a post filled with Conflict and Tension, well, maybe more to remind us of the need for it in our books. The winner's choice of a paperback or Kindle copy of A Dangerous Engagement, Melanie's romantic suspense story set in Regency England, is Tara Johnson! Friday: Carla Laureano joined us yesterday with a fun post titled The Care and Feeding of Authors. The winner of Carla's soon-to-be released title The Saturday Night Supper Club is Wilani Wahl. Congrats, Wilani. Monday: Dr. Richard "Doc" Mabry's thought-provoking post encourages us to consider what we're seeking on this journey called life. Doc will be giving away a copy of his latest novel, Surgeon's Choice. Wednesday: Award winning author and Moody Radio personality Chris Fabry will be joining us! He'll be talking about what you'd ask your favorite author if you had a chance, as well as the risk involved in using our family experiences in our stories. Friday: Candee Fick will be with us talking about why there should be a moral to the story and sharing about her soon-to-be-released novel Focus On Love. Jan Drexler has a nostalgic post on Amish Fiction Authors about living with No Electricity. Do you long for the simple life? Or do you enjoy reading about the Amish or days gone by? Hop over and join the discussion here. Melanie Dickerson has FOUR books that are $1.99 right now. Wow! Visit Mel's author profile on Amazon to grab one, two, three... Shucks, just get them all! Melanie Dickerson on Amazon. Another great Weekend Edition! 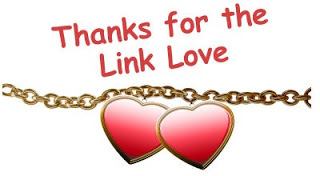 Thank you to all who sent links! I look forward to next week's posts. Still fighting disease here in WNY, like so many others... but we shall win this pesky war! I'll be so excited when the thought of food sounds good again!!!! Ruthy I pray that this crud ends soon. So sorry that you are still battling. Here's to food sounding good again! Praying for you, Ruthy. Please, take care of yourself! Please get well soon, Ruthy! Oh, Ruthy, this just will not do -- sending wishes for fast, complete healing ... and for food to sound good again! Congratulations to all of the winners. Happy weekend to all. Blogger doesn't appear to like Google Chrome...I'm trying again with Microsoft Edge. That's interesting. I usually use Google Chrome as my browser, but I always use Microsoft Edge so I have it set to open to Seekerville as my home page. I don't have a lot of problems, although last week it was really slow to post. That is so odd since Google owns Blogger. You would think they got it right! But I know what you mean. It's been acting up lately. Congratulations to the winners! Happy Weekend! Same to you, Caryl! It's raining lightly here. The temps are so-so... not to hot, not too cold. But I don't have to BE anywhere, so I'm hunkering down to write and stay away from everyone else's germs. Happy weekend, Seekerville! WOW! Definitely going to have to make several return visits today to read all those interesting-looking links! Glynna, I saw on the news that the CDC said that the flu season is one of the worst seen. My DIL is a nurse and she says they are swamped with patients. Many ER's and hospitals are swamped as well. I love the links on Seekerville too. The flu is on high alert, and supposedly not even peaked yet! Everyone, please stay vigilant! And stay warm. Congratulations to all the winners, and WOW Pam! Dutch! That is beyond wild! Congratulations. Looking forward to tackling the links! Have a blessed weekend everyone! Thank you, Kelly! It was so exciting. I don't know when it comes out, but can't wait to see the cover and hopefully get a copy of my own. And WOW! We have a fantastic line up for next week! I can't wait! And Pam - That's fantastic. :-) DUTCH! So happy for you, Pam! The vertigo is back this weekend but hoping to be able to push through enough to work on my Genesis entry for this year. Hope everyone will have a great weekend. Oh, so sorry you've been feeling bad, Wilani. Praying for your Genesis entry. You can do it, friend! Feel better Wilani! Congrats on winning and happy writing! Wilani, I'm sorry you're suffering again from vertigo! My deadline looms...MONDAY! I'm in the final stretch! Waving as I head back to reading and re-reading my pages! Wait, I brought pizza for lunch. Easy and fast and yummy! Enjoy! Cheering you on to your deadline, Debby! And thanks for the pizza... just what I needed. Yum! The end is in sight, Debby! Good luck. How exciting that The Promise of Breeze Hill is going to be published in Dutch!!!!! Though I'm having difficulty imagining Connor's brogue in Dutch. I wonder how they'll translate 'eejit'? LOL Congrats, Pam. Happy weekending everybody! It's a crazy weather weekend here so I'm mostly staying inside reading -- just finishing up Before We Were Yours. And... I've heard that Before We Were Yours is a great book. An aside... I don't know if Georgia Tann (the woman who stole/sold so many children operating as an orphanage) is actually mentioned by name in the book, but I found out this week that she was born and raised about 25 miles from me. I've always wondered how translations fair when certain phonetics are used. 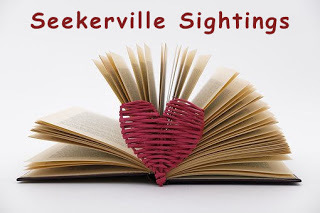 Congratulations KC, Tara and Wilani and thanks authors for another great week at Seekerville. Blessings to all! You too Connie! Happy weekend! Happy Weekend, everyone. Congrats, Pam, on your book in Dutch. Very cool! I am feeling a little disappointed in myself as I did not reach any of my writing goals for this month and January is about over. All I can do now is vow to do better in February. Off now with my family to meet my brother and his family for supper and a hockey game, so it will be a fun evening. No worries Sandy. Enjoy your family time! Sandy, I said the same thing to one of my critique partners...I did not reach my goals for January! But, isn't it awesome we have ALL of February to redeem ourselves?? Sometimes, if I make it a deadline (in my mind) instead of a goal, I'm more apt to finish! Congratulations winners and happy weekend, everyone! I have a question. I just received feedback that I should give the location of my story in the opening sentence It is in the first chapter Would it be appropriate to give the location as as a sub heading. I prefer the first sentence to begin with action and not description. Wilani, sometimes I give the location and date in a sub heading. But it's good to try to "ground" the reader in the first or second sentence, to mention if they're walking on a road, driving in a car, climbing up steps, so that the reader is able to picture it in their minds. And you can get creative with it, and just mention it briefly. For example: Wolfgang groaned as he rolled over on the hard ground, waking himself up. But in the very first scene of a book, I usually put in a sub header with the place, year, and "Spring" or something like that. Yeah, I agree with what Melanie said. I wouldn't try to fit it in the first sentence if it makes it awkward. But you definitely want the reader to get a picture of what's happening. I don't use subheadings in my contemporary stories. But I usually do try to drop the name of my town and state somewhere on the first page or so just to ground the reader. I do have it grounded that it is taking place between a nurse and patient, but naming the town and state would take away from the opening scene where the patient is stabbing the nurse. I will see if I can get it nearer the opening paragraph. Thanks for your input. Since the book is set in a small town in the smoky mountains of North Carolina I may put that at the beginning since the person reading assumed it was a large hospital and not a small town. This is on a story I want to submit for the Genesis so I want it to be strong as well as acceptable. Wilani, I think that works just fine. If it's clear that it's a patient and nurse in a hospital, that's all you need in the first paragraph, and putting something about the small town in North Carolina somewhere on the first or second page sounds good to me. Wow, lots of informative, helpful links. Thank you! Sending wishes for a lovely weekend. Congratulations to all the winners, and prayers for recovery to Wilani, Ruthy, and anyone else fighting this "epizutic", as my sainted grandmother, Besse Belle called it. My other half just recovered, and it "ain't no fun". Congratulations, Pam, hope they send you a copy. Congratulations to all of the winners! Hope everyone is enjoying a great weekend. I won an Erica V book? !